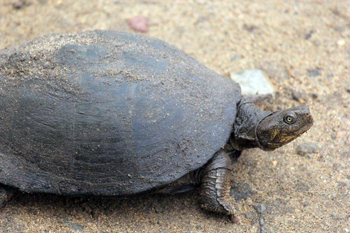 The Serrated Hinged Terrapin, Pelusios Sinuatus, is a common resident of all rivers and major dams in Kruger Park. Terrapins are essentially fresh water turtles. It is called Hinged as it has a hinge in its shell which can be closed after retracting its head. The carapace (hard upper shell) is blackish and the plastron (leathery underbelly) is yellowish. It is best left alone and not handled if found out of water as it has the most foul-smelling odour secreted as a defence mechanism. I would rate it as the amphibious equivalent of the Polecat ! The Serrated Hinged Terrapin is carnivorous and is capable of delivering a nasty bite. Our guides easily locate them as they swim with their heads protruding from the water. From time to time, as it gets warmer, they will lie on rocks and even find hippo hides suitable resting spots. So here we are again, Report Time, time to make you guys dream a little…….. This month’s highlight was when Rex and I found a Black Rhino midden, with fresh dung that was still warm !!! We followed the trail but the rhino was walking faster than us. The guests were probably happy about that ! Winter is here but we went out on an crazy HOT afternoon, it almost felt like summer and we managed to find some elephants very close to us – the light was golden and we got extremely close to one of them. 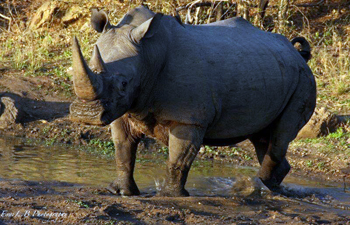 We were radio called to see a White Rhino bull – we found him mudwallowing on the side of a dam. The light was just perfect, we spent easily 15 minutes with him up to some point where some elephants came and disturbed him. We saw 2 Black rhinos, a mother and calf. These 2 rhinos put on a show on for us and even posed for photos before they moved off. On that very same drive, we observed a herd of magnificently horned Kudu bulls. We had our sundowners there and watched the Kudus as the sun slowly dipped below the horizon ! Wow !! Shannon and I went out on a Sunset Drive – she was my tracker – and as we were driving to Marula Boma, I saw a light inside the bush. Another vehicle was deep in the bush and I knew it could only be one of the Big 5 – we discovered a big male leopard. We got to see him walking very relaxed alongside our Landcruiser for about 4 minutes. It was just enough time for everybody to see how beautiful this Leopard was. It was one of my best-ever sightings of Leopard in Balule. On one night driving back from Marula Boma, we found a Spotted Eagle Owl in the middle of the road posing for us. Later on as we approached Tremisana Lodge, we found some hyenas by our water hole. It was a great way of ending our drive. I was driving down Marula road with my guests doing a Sunset Drive. Just before we reached the entrance of Marafika we saw a big breeding herd of elephants crossing the road. When I turned my head to look at my guests, I saw all of them smiling with joy. Two of the Ellies tried to get close to the vehicle. I shouted loudly : “STOP“ and they did exactly that ! 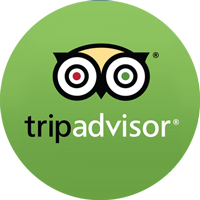 My guests were very impressed – they looked at me very strangely !! Hau !!! At Marula Boma we saw 4 honey badgers – another Hau !! I did a Bush Walk with Raymond and our guests were amazed when we saw a large elephant herd around Rome 1 along the Olifants River. They were everywhere – very relaxed – we just enjoyed them. We also saw Hippos and Waterbuck. I did my afternoon drive with Ed using two vehicles and my guests wanted to see lions. I drove up and down looking and we saw giraffes, impalas, zebra, duiker and kudu. I was running out of time – it was 16:45 and I was still on Barnard looking for a lion ! Just before I reached Olifants road I saw one male and two females lions lying down under a russet bush willow – Hau !! And then I stopped and I said to the guests : “ Lions “. And they said : “ No ways “. I said look to the right they couldn’t believe it – they were very, very excited ! The time was 16:56 and our GM gets cross if we arrive after 17:00 so we had a bit of a Ferrari Safari getting back to Tremisana ! 1st of July : Kruger, Good day but difficult for cats. Buffaloes before reception, elephants all over, male lion on our way back before the last Orpen gate. 17th : Lions Kumana dam, buffaloes near Satara camp, white rhino H1-5. General game S127 on our way back more white rhinos. 25th : Lions on new road S147 near Ngotso dam, hyenas Orpen road, elephants all over, and more general game Orpen road and buffaloes before the last gate. 26th : A great CAT day !!!! Lions Sweni windmill, Cheetah H6 Nwanetsi road, Leopard with a kill Olifants bridge, Rhino H1-5, buffaloes Timbavati riverbed. 27th : Lions S90, elephants all over, Hyena Rabelais windmill, Buffaloes Orpen road. 02/07/2017 : Great Kruger day, H-7 Pelwane bridge many elephants, pride of lions (11) on the riverbed, Nsemani dam 3 hippos outside the water. Buffaloes on S-100, Ostriches on road to Timabavati picnic spot. 16/07/2017 : We drove H-7 from the boomgate, 3 kilometers on the left hand side there’s a waterhole, there was one lioness on the dam wall, more than 700 buffaloes were struggling to drink water, Talamati road from the junction of S-36 about 4km two big male lions killed a buffalo, seven hyenas and the vultures were fighting with the lions to get food. Elephants all over, some even crossed the road almost on top of our open vehicle ! 17/07/2017 Kumana dam the road to Tshokwane after S-86 two lions killed a Waterbuck , leopard before the baobab tree on a sausage tree, elephants were busy approaching the dam while we were viewing the leopard, buffaloes before Kumana dam in a very small ponds, on Rabelais road we hit the jackpot : 4 Wild Dogs. impala. S-100 before Xibotswana windmill, two lionesses with 4 cubs in the shade. 20/07/2017 On Rabelais one White rhino in a dry dam. Pelwana bridge crossing of about forty elephants. Two saddle-billed storks busy searching for the prey in the water. We also drove S-39 before Leeubron waterhole one big male lion with a full stomach. 24/07/2017 Before S-127, big male leopard on a leadwood tree, two rhinos on the road, buffaloes and elephants were all over on the way back before the boomgate, H-7 three lionesses but it was getting dark, taking pictures was not easy. 25/07/2017 Two hyenas H-7 before Rabelais it was a very good day as we managed to see all the big five, elephants, lions, buffaloes, leopards and rhinos. 27/07/2017 Boom gate 5 kilometres before Orpen reception more than 300 buffaloes lying down and also 3 rhinos. S-90 two big male lions and 4 lionesses. S-126 big breeding herd of elephants crossing the road. We had good views of elephants, saw some nice Hippo and crocodile on just about every walk. We had some real good views of hippos mating in the Olifants River. On the way to our bushwalk we saw 8 lions under a tree with a leopard up the same tree – we watched them for 15 minutes – the lions moved off and so the leopard jumped down and ran away from the lions. It was such a great sighting and on the way back home we saw some giraffes. We approached 2 bull elephants about 4 metres away. It was a windy day and the wind was in our favour. Also we found 1 big bull buffalo about 80 meters away and some safe and nice view of hippos in the Olifants River. We saw 1 big male Nyala, 4 giraffes at Rome 1 and 7 hippos in the water at Olifants River. We saw 2 black rhinos on Marula road and a herd of elephants on the dam wall at Shigamba dam. We had 2 giraffes with a baby on marula road, 2 bull elephants on marula road, then head off towards Barnard and found 2 white rhinos on Nonwane cutline. leopard on Olifants Road near Campfire. On another day, herd of elephants on Shigamba dam and 6 lions on Ngwenya dam. Herd of elephants on Rome 1 by the Spruit and then 6 lions on Olifants close by Impalabos West. On another day, we found a herd of elephants on Marula road near Masodini and 6 giraffes on Sable road close to Kusungula. 1 white rhino and a calf on York cutline and 3 bull elephants on Campfire. I conducted a sleep-out at Marula Boma. We had 2 honey badgers at the Marula boma and 2 spotted hyenas and 1 black rhino came to visit at the waterhole. The day started off quite chilly in the morning as winter is still not yet over. 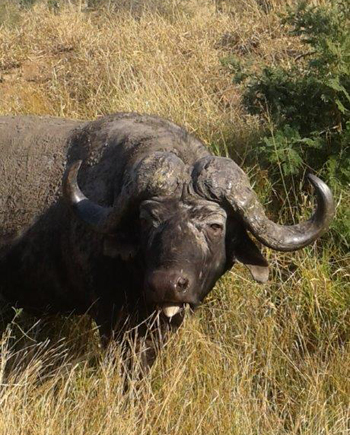 Arriving at Kruger First boom gate we found Buffalo – a big breeding herd of about 200. Further on we came across a troop of Chacma Baboons that just sat in the road looking at the traffic. A short distance further on, we saw a Giraffe mother giving birth – what a privelege even for me as a Guide We stayed about 45min waiting patiently : Mother Nature is harsh but for good reasons:) the babies front legs were hanging out and at the end when the head was out it was amazing ! We found a herd of Elephants drinking water and swimming at Nsemani dam and we also spotted Hippo, Crocodile and African Fish Eagle. After lunch we went back to Nsemani where we got Lions mating. We got cheetah on the H6. We went down S126 where we got General game and some Buffalo and Giraffes about 30 standing around. As we turned down onto the S36 to go back to H7, we came across a pride of Lions lying down in the tall white grass. On the way to Orpen gate we found 5 White Rhinos. Just before the last boom Gate we found a young female Leopard walking across the road slowly. Wow !! What a day and certainly one I won’t ever forget. What a lovely drive I had in this Reserve as It was my first time conducting a Game drive here. It is also called Buffaloland and that was our first ungulate : as we entered we had them in front of us ! Arriving at main camp we got a Tracker and off we went finding Giraffe, Kudu, Impala, Warthogs and about 45min into the drive two Black rhinos (A mother with a baby) – what a magnificent sighting ! After that we switched to night drive – turning on the spotlight we came across some bushbabies. Later we saw porcupines – a breeding pair. Great ending to my first experience of Motlala ! This month was filled with amazing sightings of general game as well as the odd surprises every now and then of big cats and other big five animals. The first two weeks I did Afternoon drives as well as Morning drives; I managed to spot the Takazile pride of lions twice on morning drives and once on a sundowner drive as spotter for Eva; I also have had multiple encounters with various Breeding and Bachelor herds of Elephant. My guests were pleased with our drives and said they enjoyed it. We also have had amazing bird sightings. My last two weeks of this month have also yielded amazing general game sightings such as two giraffe attempting to size each other up in order to impress the females as well as impala males performing dominance displays and herds playing around in the early morning and late afternoons. I have encountered multiple herds of kudu and lately the zebra sightings have improved. On the 27th of July I did an afternoon drive and we had wonderful kudu and giraffe sightings. We then made our way towards Ezuluwini to do the loop there before going back to the lodge; we stopped to talk about the vegetation change and I heard a herd of impala alarm calling; I told my guests that we should look what it is and made our way closer to the herd. We eventually spotted a large leopard male walking past the herd of impala and about twenty metres from us a leopard female was sitting in the bushes. She started moving towards the drainage line; I then turned the vehicle around and positioned it to where I assumed she was moving and we had an amazing sighting of her sitting about 10 metres from us relaxed and observing her surroundings. She then stood up and made her way closer to the vehicle about 5 metres and then turned to pass us on the side. This was truly my highlight of the month. My guests were very pleased and ecstatic about this rare experience; we then made our way back to the lodge and finished our drive. The video will be sent to Viva Safaris’ website guru, Marco, as soon as it is processed. It’s been a great month in terms of sightseeing in both Kruger Park and Balule. The grass is dry now and that makes it easier to spot the game. One morning heading down for a morning bushwalk we came across lioness along the marula road that had trapped a leopard which was forced to climb right to the top of a tree. We then noticed it was a pride of 9 lions and the one was very keen to bring the leopard down. It tried climbing the tree but it was unsuccessful due to the fact that the leopard was too high the rest of the pride moved off but one lioness remain behind to try its luck but ended giving up – they all moved off and the leopard jumped down and ran into the bushes in the opposite direction to the lion pride. The bushwalk was lovely with so much general game and hippos and elephant in the Olifants River. 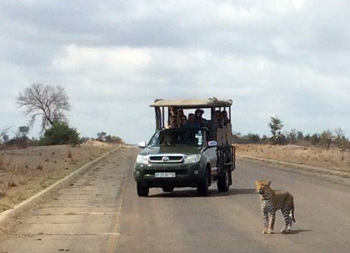 Kruger Park is starting to get more exciting with leopard and lion sightings very regular. Orpen gate has a resident male leopard which we see regularly in the evenings. Leopard close to Viva vehicle. 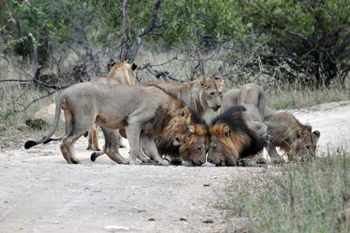 A pride of lions killed a buffalo along the S90 with 2 big males having to feed and guard against vultures and the scavengers – a few jackals and hyenas were around but with the presence of male lions they stood no chance! We are also seeing Wild dog around Orpen gate – a pack of 16 were seen killing an impala. Wow! 1st of July about 500m from the fence line we found a pride of lions that had chased a leopard up a Marula tree. 17th: At Campfire we found a herd of elephants. One of them came towards our Landcruiser and start sniffing as he walked all around us. Guests were quite nervous ! 24th: Kruger we found a mating pair of White Rhinos. Later we had a great sighting of lion cubs. 27th: A pride of 8 lions busy feeding on a Kudu. 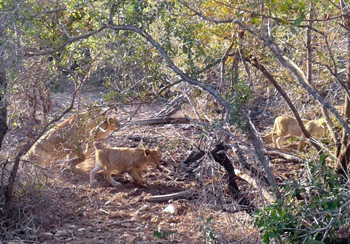 It was about 700 meters away from Tremisana lodge – you could clearly see that the lions used the fence to trap it. With the increase in tourist numbers and fairly regular elephant destroying water pipes, we have decided to add another 10 000 litre tank. In anticipation of yet another record tourist season, we have also bought a new Quantum for transfers from Tremisana to Dullstroom as well as a new Landcruiser for Game Drives. 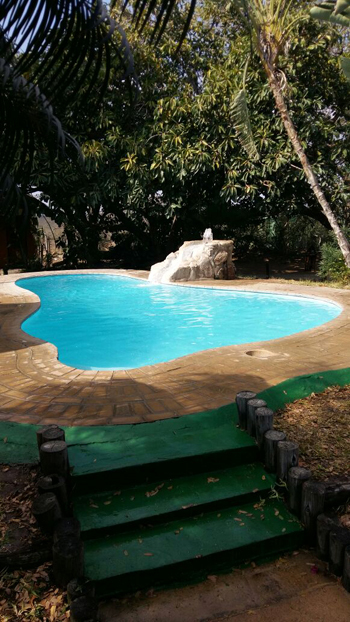 The swimming pool is looking quite beautiful with its new coat of paint. We have bought a brand new rifle for Bush Walks as the lions are now quite settled – Victor reports that they killed a Nyala Bull only 10 metres from treehouse # 1. 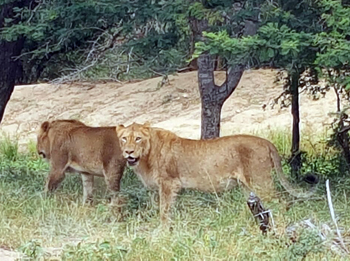 Lions are now seen regularly near Marc’s Treehouse Lodge. We have added thatched covers to all entrances to the 8 units. Our plan is to add thatched umbrellas to each of the units next month. The surrounds of the pool area has been retiled. An additional staff room is being built. The Black Rhino has been around the Camp and has successfully eaten a fair chunk of the aloes we have planted. We will be offering educationals to any interested agents from September – please let me know if you wish to avail of this opportunity to familiarise yourselves with our products. Friday : Pick up in JNB or O R Tambo and drive to Tremisana Lodge. Sunset Game Drive and Bush BBQ at Marula Boma. Sleep out on platform at Marula Boma. Saturday : Short Bush Walk on our property. Game drive to Ezulwini Lodge for Breakfast and site inspection. Game drive to Tremisana Lodge for site inspection. Drive to Katekani Lodge for lunch and site inspection. After lunch drive to Marc’s Treehouse Lodge for site inspection. Rest at Masango Camp. 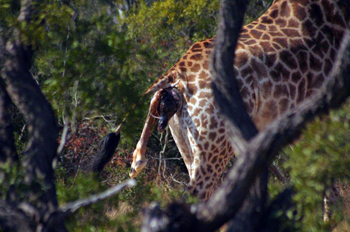 Sunset Game Drive on Motlala Reserve and dinner and overnight at Masango Camp. Sunday : Bush walk along Klaserie River. Breakfast at Marc’s Treehouse Lodge. Return via Blyde Canyon arriving back in JNB at around 17h00. Second time visiting from Australia – the reason – The team just work ! Visited 5 years ago solo – booked Moafrika lodge in Johannesburg (linked to Viva Safaris) Picked up at airport picked up from Moafrika and by Viva for transfer to Tremisana. 6 hour trip with lunch then straight into the action. Why review 5 years ago now? Because I just repeated it exactly with my wife and a friend last month. Once again the GM Piero could not have assisted us more however the entire team from lodge staff to knowledgeable rangers all have the same happy attitude and friendliness on constant display. I have sung the praises of Viva Safaris for years and now they have two more ambassadors – What a great trip and seeing the big 5 was great but that was just a cherry on top of a fantastic trip. Waking to roaring lions was also unbelievable. Two trips five years apart, same company but with different staff yet same perfect outcome – that’s not luck – that’s a well-managed and staffed company whose team are obviously happy in their positions and this was at both Tremisana lodge and Marcs treehouse. I hope I get to return for a third trip in the future and enjoy the benefits of Viva’s experience again. Thank you Viva team for making our holiday fantastic! 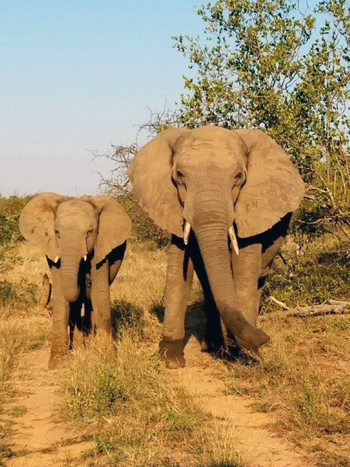 Fantastic and unforgettable experience at Tremisana Game Lodge and Kruger National Park! We had an amazing time at Tremisana Game Lodge at the Balule Game Reserve! The lodge is very comfortable, with beautiful gardens and through our room window we were able to see many animals on the other side of the fence, including birds, porcupine, warthog, hiena and monkeys! The staff is very friendly and helpful. Pretty, our lovely hostess, planned all the activities so we could enjoy unique moments during our stay. The night game drive and the typical South African ‘braai’ under the Amarula tree and starry sky were special and unforgettable!! The Safari day at the Kruger National Park was so exciting and we saw, very near to the vehicle, infinite animals such as giraffes, elephants, lions, cheetah, leopard, baboons, buffalos, zebras, impalas, hienas, kudu and also a marvellous baobab tree! Lamby, our very experienced guide, always looking for animals and explained to us all their habits, a true lesson about African wildlife! Was really a dream come true to see so many wild animals and we will miss the lodge in the bush and the wonderful safari at Kruger Park! Thank you Tremisana Game Lodge team for this fantastic experience!! We definitely must come back! We had the greatest time at Marc’s Treehouse Lodge. It was amazing. The staff are beyond friendly and do everything for you without a second thought. The setting is beautiful. We were in Treehouse 7 overlooking the river. It has an en suite so we were very happy about that! The food is great and one thing that really surprised me was how nice all the guests were. It has a real community feel and it broke my heart to have to leave. I loved it here. Truly loved it. I would recommend this to everyone. It’s rustic – but it gives you that real sense of adventure for your safari – I’m forever thankful for the amazing memories and will hold them in my heart always. We were staying at Tremisana when another guest on our trip told us about this place, we moved here for 2 more nights, it was amazing, the rooms, staff and location was out of this world, wouldn’t think twice to stay here or recommend to others! We stayed three nights at Tremisana Lodge. The staff was very welcoming. In that hotel there is not the typical division between guests and staff. You live there together, eat together and talk together about the animals and sightings. I really enjoyed that. Furthermore the rangers really love their job and do their best to find as much animals as possible. They are very well trained. The food is typical South African and homemade. We loved it so much. The beds with its down blankets are amazing. I fell in love with the bush and really miss the lodge.